The Home for Hope will be located at 6920 Ranch Hand Drive in Lone Star Trails. 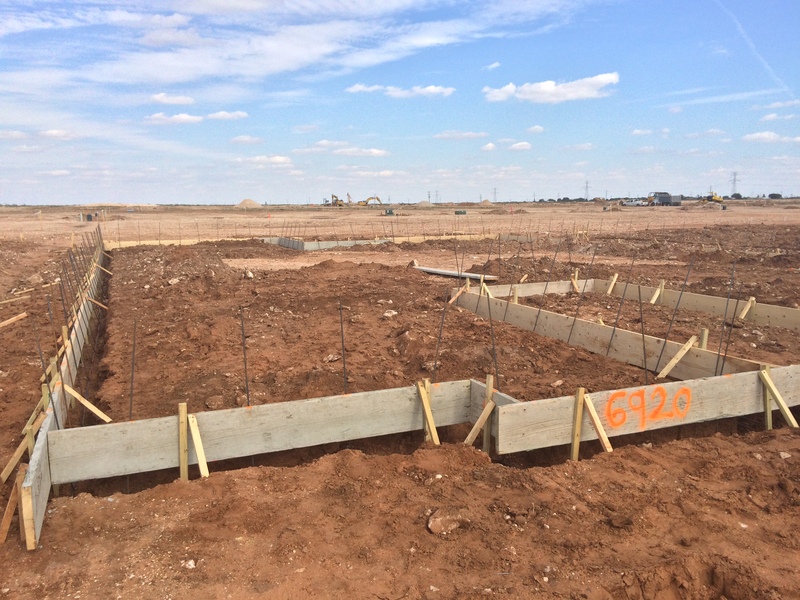 Last week we broke ground on our Home for Hope in Midland! This is the first home in our new community, Lone Star Trails. Homes for Hope works with home builders across the United States, in partnership with their trade partners and suppliers to build a Home for Hope on a largely pro bono basis. Because of the generosity of more than 30 of our trade partners and suppliers who have joined us in this effort by donating labor and materials, all profits from the home (the home will be sold just like our other homes) will benefit HOPE International, Homes for Hope’s primary partner. HOPE International works in many of the world’s poorest countries to help families escape poverty through business development. To learn more about why their process is so effective in helping families break out of poverty, visit their website. One Home for Hope has the ability to impact hundreds of people in some of the world’s poorest areas and we are thrilled to be able to building another Home for Hope (the first was completed in Lubbock this summer)! Thank you to our trade partners who have shown overwhelming support for this project. For a complete list of trade partners and suppliers who have joined us in this effort, visit our website. Check back here or like us on Facebook and follow us on Twitter to keep up with the home’s progress.